The bedroom is the one place in the home where it is essential to unwind, relax and sleep. It’s important that this area is organised well to ensure you’re able to navigate your belongings with ease and save precious time getting dressed and out the door. 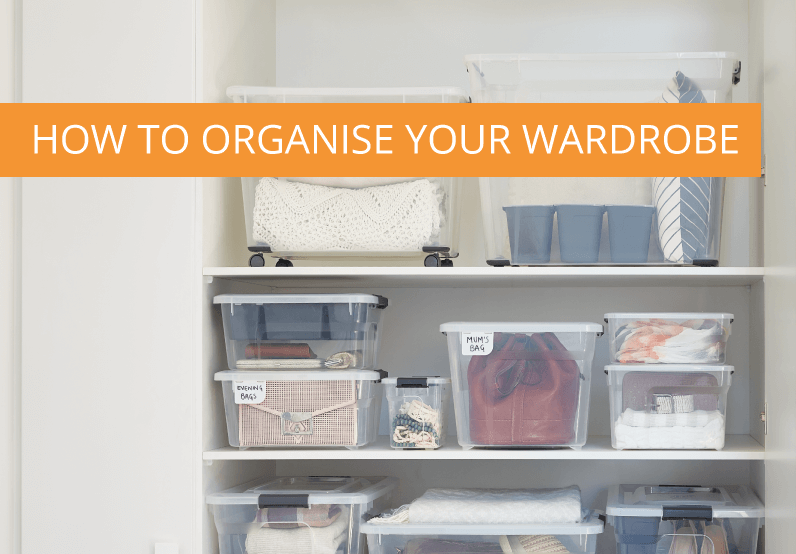 Having an organised wardrobe is one of those essential things you need to keep your sanity and at the same time is also the hardest area to keep clean. The old saying ‘everything should have a place’ couldn’t be more accurate when it comes to the bedroom wardrobe. But more accurately it means you’ll need a spot for all your clothes, belts, hats, scarves, shoes and possibly one too many handbags. We use our wardrobe every single day, no matter how neatly everything is folded or hung; it will be more efficient if you have good solutions to help you keep organised. First step in organising is to remove everything from the wardrobe. This is going to allow you to see all your items, clean the shelves and view the space you have to work with so you can decide where everything should be placed. Now that you have all your items laid out, it’s time to decide what category they fall into. I’m sure in this process you forgot you owned so many items and you have a few items on the donate or give away list. General categories that belong in a wardrobe are; frequently used, special occasion, accessories, shoes, and out of season. How you organise your wardrobe will most likely depend on the size of space you have available. If you have a large space you might not need to consider if it’s an in season or regularly used item. In most cases, it is a good idea to separate those items and store them either in containers or in a separate storage area so your wardrobe is more spacious and efficient. 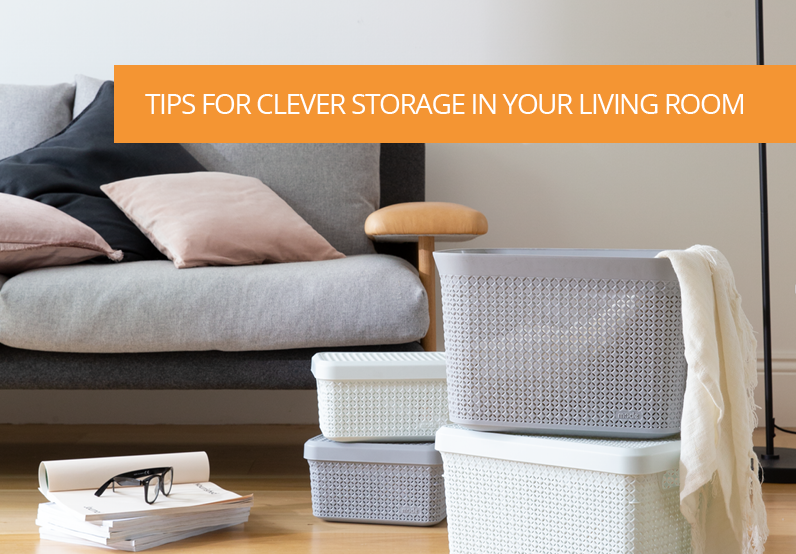 Out of sight storage is a great option for storing items such as out of season clothing or spare bedding. If you have space under your bed, investing in slimmer long containers will help keep your items neat and tucked away, making good use of your horizontal space. Our Solutions 25 litre medium tub is the perfect flat design for under bed storage and has the option to add castor wheels to make accessing the tubs easier. Tip: These tubs are also the perfect size to be placed on the top shelf of a wardrobe while still looking sleek. If your shoe collection is getting a little hard to manage, pop them into a storage tub if they’re not frequently used. 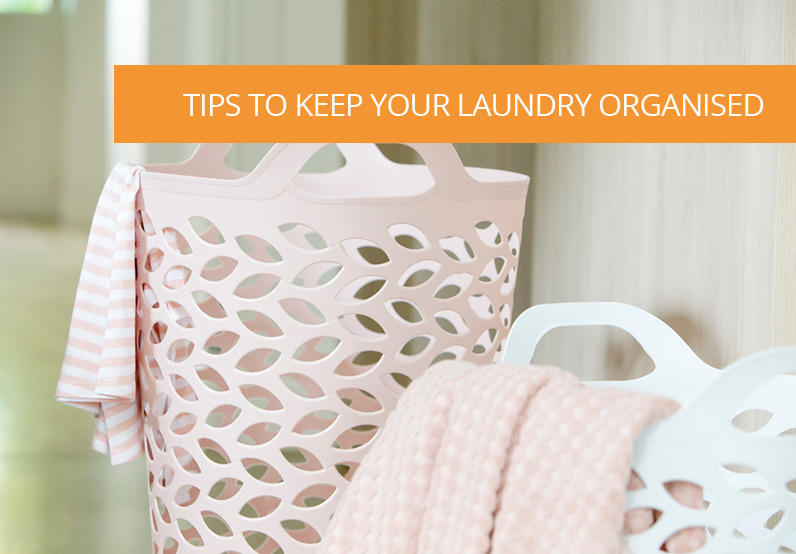 This will keep them dust free, paired together and separate from your frequently worn shoes. 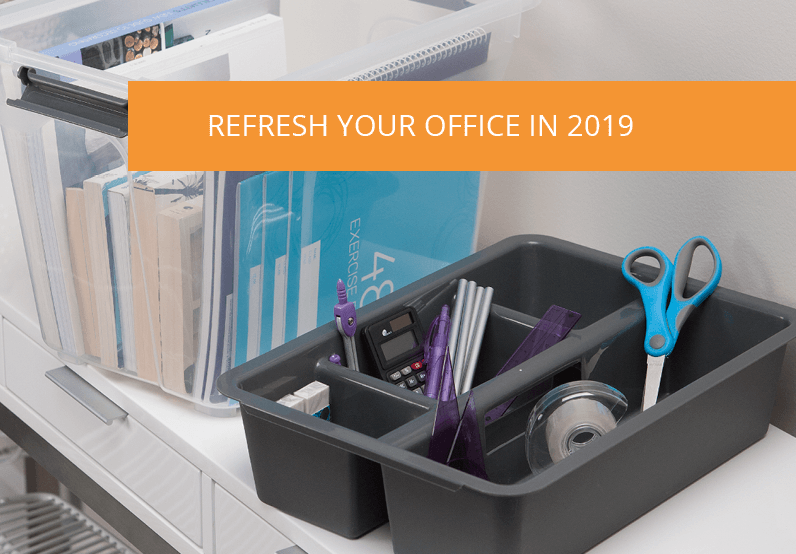 You’ve successfully tackled the hardest part of sorting and organising, now the fun part of putting everything back in its newly organised glory. 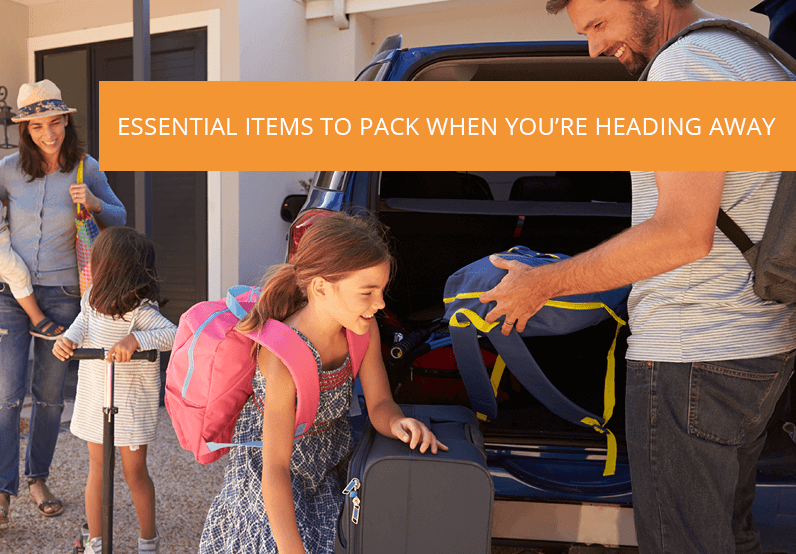 Start by finding a spot for all larger items such as coats, pants and shoes. Next will be all items on hangers such as dresses, jeans and formal clothing. Lastly all folded items such as everyday clothes, active wear and pyjamas will get placed in the shelves available, leaving you with a wardrobe where everything has a spot. In the remaining space you have available, you will be able to organise accessories. Smaller tubs such as the 13L Solutions Tub are ideal for fashion accessories. These are stackable so you can easily have one for each type of item, such as one tub for scarves, one for hats, etc. The tubs each have a carry handle making them easy to move and the clear plastic makes it easy for you to see exactly what’s inside when you’re getting dressed and looking for a specific item. These tubs also have compatible tray inserts if you’re wanting to organise smaller items like jewellery or sunglasses. Depending on the type of space in your wardrobe you’ll be able to stack these vertically or lay them out next to each other horizontally on a shelf. 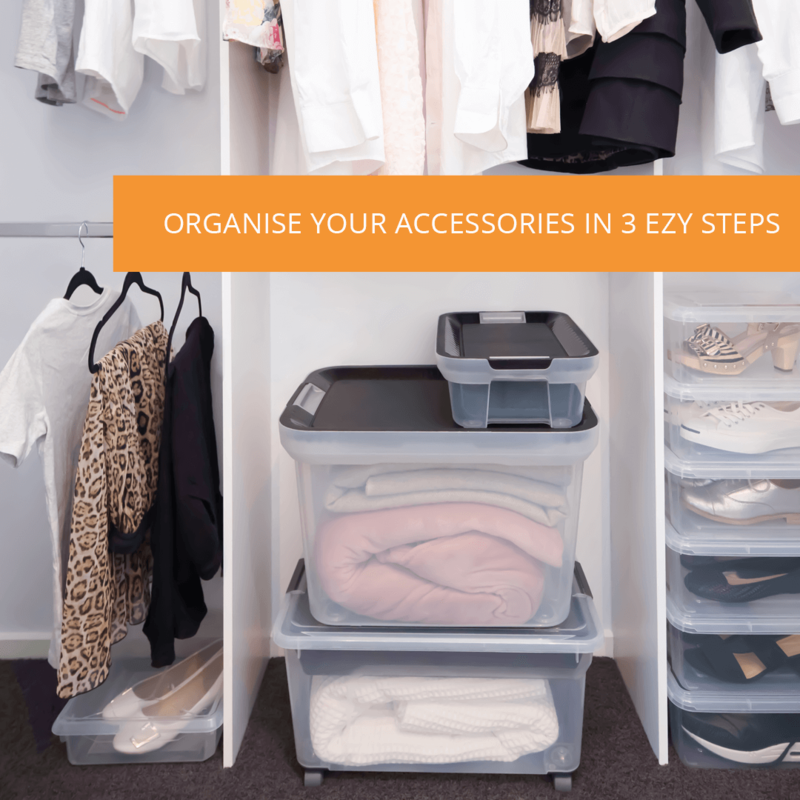 With these organisation tips and all your items organised using storage tubs, you’ll be able to not only have a clean and efficient wardrobe, but also keep it that way!